When trying to identify the fuzzy face in the picture used at the beginning of the March Smoke Signals, which was of a newly hatched Apis mellifera scutellata - African Honey Bee (not to be confused with Africanised bees) also featured in this edition of Smoke Signals, I stumbled across a web site - African Honey Bee. Drawn in by the photos I began to read... Not information about Apis mellifera scutellata as it turns out but a "Social Enterprise that enables families from severely disadvantaged rural communities to build sustainable micro-beekeeping businesses – producing raw honey of unrivalled taste and quality, using environmentally-friendly and ethical beekeeping practises" to quote them directly. They are based in Hazyview, a small farming town in Mpumalanga, South Africa, close to the Kruger National Park. Talking with Guy Stubbs, the leadership team member responsible for beekeeper development, was a lesson in affecting change at a fundamental level. A ‘hand-up’ rather than a ‘hand-out’, the ‘African Honey Bee’ has a solid foundation of hope, transformation, learning and support. They work to transform communities by empowering people with knowledge, understanding, confidence and ongoing encouragement and support to improve their own quality of life, using and caring for their available natural resources and environment. Surely it would seem quicker and easier to obtain appropriate funding, buy the equipment that you need to 'do things properly', train anyone interested and give them what they need. Guy was quick to comment that this 'handout; system has been tried by a large number of organisations across a wide range of projects and failed just as many times... Why? because it does not empower people, it does not support people to believe that, after so many decades of having nothing, that they can stand up and support themselves, their families, and build strong communities. Transformation comes from experience, the pride that comes from self-reliance and the belief that they have the ability to affect permanent change. 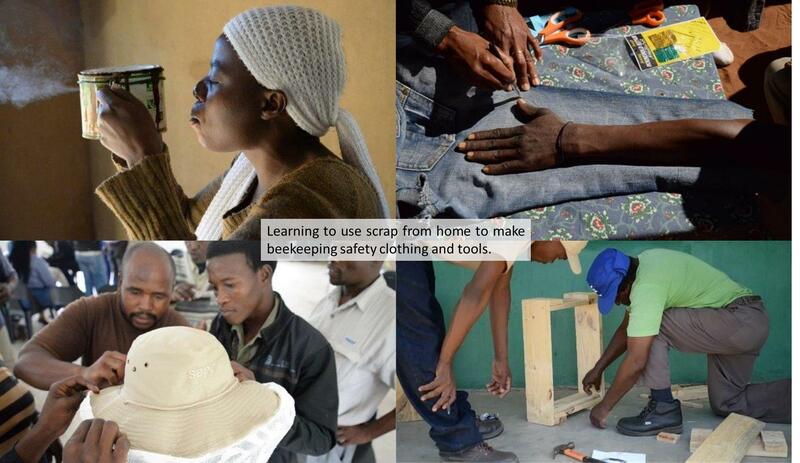 In other parts of South Africa over R240 million has been spent on beekeeping projects with potential beekeepers been given pre-assembled hives, processing facilities and tools; these programs have failed to established successful, sustainable businesses'. 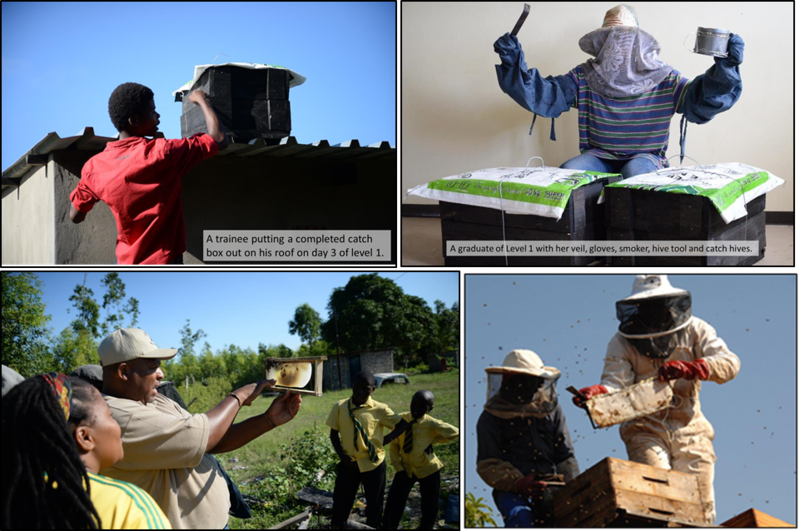 In contrast the African Honey Bee Company has supported over 2600 small scale Swaziland beekeepers to establish micro-franchise (small-scale producers sharing in the benefits of collective processing and sales) - not one has been given a hive or protective clothing and they are thriving - it would seem that the African Honey Bee model of 'empowerment, mentorship and support' works.